Burton Fredericksen’s book The Burdens of Wealth is a Bildungsroman, describing the author’s growing up but more intentionally the maturing of J. Paul Getty’s eponymous museum. As Fredericksen begins the chronology of the museum, where he was an employee from its inception, he appropriately keeps the focus on the development of the institution, while he takes himself out of the lead. With an eye on the birth of one man’s mission, Fredericksen forgoes a biographical summary of Getty’s business life, and includes just enough to remind readers that Getty was a very rich oil man. “I wrote a long chapter which started with his life, but it was too long and there are already books related to his life,” Fredericksen told the Palisades News. Fredericksen was involved with the Getty Museum from the time he was a graduate student in art history at UCLA in the late 1950s, working part-time as a guard at the small museum (Getty’s home, known as the Malibu Ranch House), tucked away in the hills of Pacific Palisades. In 1965, in a surprise promotion, he became the first curator at the age of 31. At the time, Getty was living in London full time and relied on his accountant based in Los Angeles to make the offer, preferably to someone near at hand rather than search for a more qualified candidate. “Getty, like most strong-willed people, was prone to trust those who confirmed his view of himself as a skilled connoisseur and man of taste,” Fredericksen writes. Not to downplay his own background, which he describes as minimal, Fredericksen did have a master’s degree in studio art, had studied in Munich on a Fulbright fellowship and had worked on compiling an inventory of the pre-19th-century Italian paintings in American museums. The young curator did not meet Getty until the old man was in his 80s, at which time he was able to form a more accurate portrait of the boss. “I didn’t realize how personable he was, and how nearsighted he was when it came to building his collection,” Fredericksen says. During his stays, Fredericksen observed the comings and goings at Sutton Place and enjoyed chats with the butler, who was only too happy to gossip with him about the mistresses who would come and go, and other juicy details, no doubt enlivened somewhat with a tip. Despite his lack of experience in the art world, Fredericksen made modest purchase recommendations in the $5,000 range, knowing Getty’s famous parsimony full well. By the end of 1969, Getty set in motion plans for a new building adjacent to the ranch to house his ever-expanding collection of antiquities, European paintings and 18th-century French furniture. In planning for the new museum, he moved from wishing to recreate his Tudor mansion Sutton Place to a Roman villa, no doubt influenced by Federico Zeri, a connoisseur of Italian paintings who played an increasingly active role in Getty’s evolution as a collector. 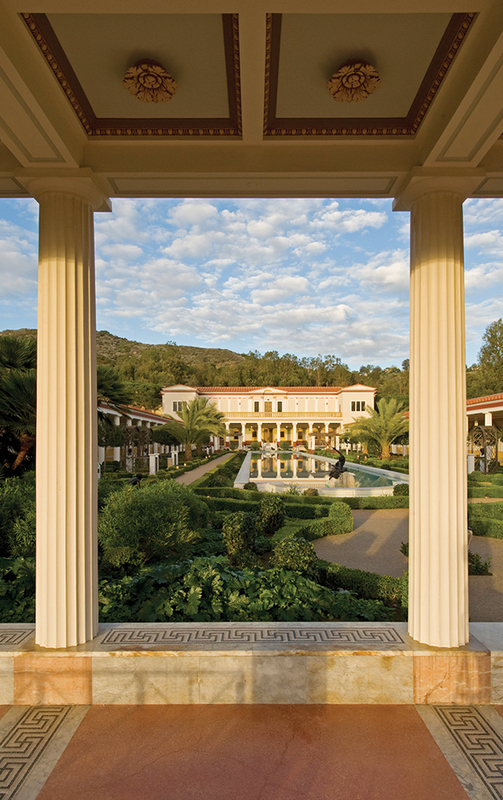 The Getty Villa opened in 1974. Getty’s final years as a collector are meticulously recalled, displaying Fredericksen’s thorough recollection of paint- ings considered, the price tag on each and the wins and the losses. Getty’s death in 1976 opened a new and uncharted course for the museum, which was the recipient of stock worth about $700 million. Suddenly the museum was the wealthiest museum in the world. The second half of The Burdens of Wealth focuses more directly on this very conundrum. With vast resources came a need for a more serious and professional approach to buying art and professionalizing the leadership by appointing a president and CEO to oversee the resources of the heavily endowed institution. Fredericksen keeps the narrative going, mixing fascinating details about the hunt for good paintings with the drama surrounding the parade of personnel that came and went. He highlights Harold Williams, the first president, who took up his duties in 1981 and, as Fredericksen says, “focused on housecleaning, getting lesser art out.” As he began to set the direction of the Getty Trust, Williams’ plans included an expanded museum that would be part of a larger complex bringing together the trust administration and the new institutes (conservation, research, education). 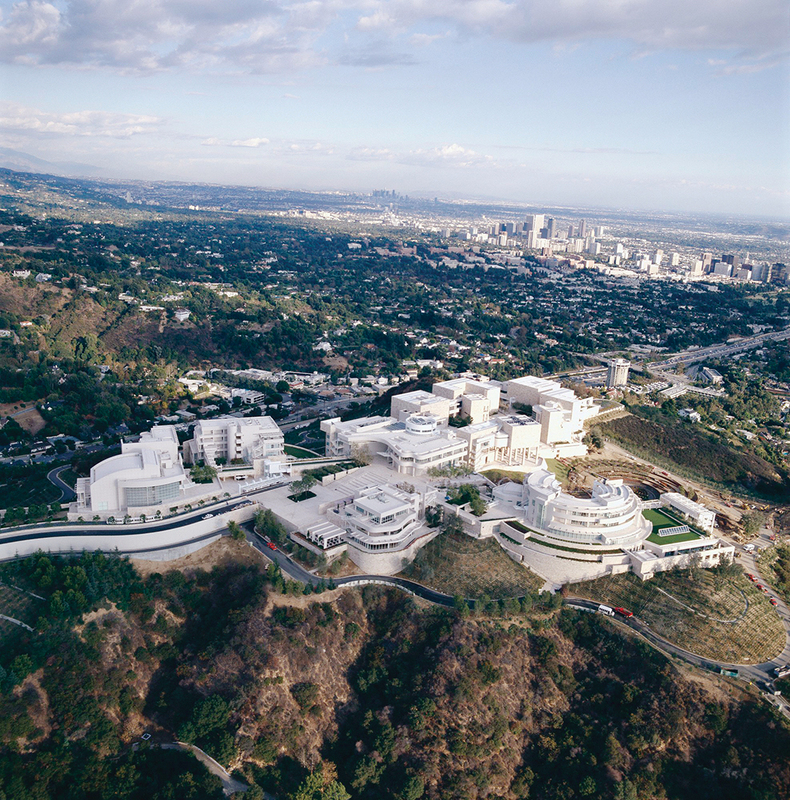 Williams oversaw the completion of the Getty Center on 16 acres in the hills behind Brentwood, which despite its vastly bloated budget and years of construction, was his dream come true. Fredericksen says that for the most part, he relied on his memory and talking to col- leagues in writing the book. “I also went through the archives to see if there was anything I missed. “But I could not have written a book had it not been for Munitz,” he adds, referring to Barry Munitz, president and CEO of the J. Paul Getty Trust from 1997 to 2006. With the Munitz years, Fredericksen began to take notes, quantifying the man’s despotic and vindictive management style. Munitz’s leadership became increasingly questionable as the Trust was embroiled in numerous controversies relating to the provenance of various antiquities and Munitz’s expense accounts. As the net tightened in the midst of an investigation by the California Attorney General, Munitz resigned and was forced to forgo his severance package of more than $2 million. Fredericksen devotes a chapter to Munitz, who, he says, almost destroyed the institution. Throughout the Getty saga, Fredericksen adheres to a steady telling of events as he saw them—calling out missteps and poor choices on the part of the players— but also refrains from sensationalism or scurrilous gossip. He loves the Getty, for which he continues to do research, and thinks of his job as the greatest. The Burdens of Wealth is available through Archway Publishing in hardcover, softcover and E-book formats.